The Goldenseal plant is indigenous to North America and is an herbal supplement that has been used by Native Americans for centuries. Our Goldenseal Root is 470mg of natural whole herb in a rapid release herbal supplement. Directions: For adults, take one (1) capsule four times daily, preferably with meals. Capsules may be opened and prepared as a tea. Other Ingredients: Gelatin, Vegetable Magnesium Stearate, Vegetable Cellulose. Warning: Not intended for use by pregnant or nursing women. If you are taking any medications or have any medical condition, consult your doctor before use. Discontinue use and consult your doctor if any adverse reactions occur. Not intended for use by persons under the age of 18. Keep out of reach of children. Store at room temperature. Do not use if eal under cap is broken or missing. Goldenseal Root 470mg is rated 5.0 out of 5 by 2. 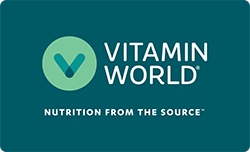 Rated 5 out of 5 by Taya from On my way to Good Health I trust the vitamin world brand....so it was a no-brainer for me to make this purchase. I have taken advantage of the bogo twice in a row!!! !